Hot on the heels of the Committee on Public Enterprise (COPE) summoning the Ceylon Electricity Board (CEB) to investigate three Power Purchase Agreements (PPAs), Power and Renewable Energy Minister Ranjith Siyambalapitiya yesterday defended the decision claiming that the move was the best and cheapest option available. “We discussed this in detail. We came to this decision after considering price and timeframe. This is a very complex issue. There is a shortage of electricity for the Southern Sector so it is very important that Embilipitiya and Matara are maintained. We decided to buy from them at the lowest cost. We would have been forced to buy emergency power if not,” he said, speaking to journalists at a news conference. However, the Public Utilities Commission of Sri Lanka (PUCSL) has continuously refused to approve the agreements signed with three Independent Power Producers, including Ace Embilipitiya, maintaining that the option to go for a three-year emergency PPA was not the cheapest option. With the PUCSL refusing to ratify the agreements, Power and Energy Ministry Secretary Dr. B.M.S. Batagoda has sought President Maithripala Sirisena’s assistance in the matter. 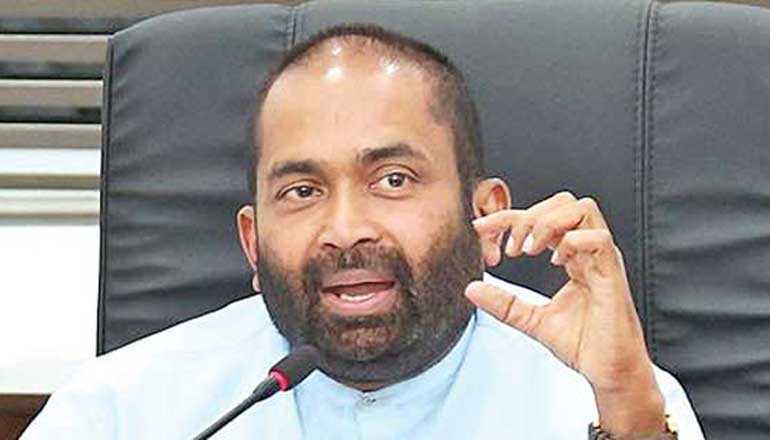 In a letter addressed to the President, Dr. Batagoda last week requested President Sirisena to intervene through the National Economic Commission to get approval for PPA with three independent power producers. Dr. Batagoda, outlining how changes in government policy impact a PPA, requested Sirisena to intervene to obtain PUCSL approval for the CEB to extend three PPAs for the 24 MW Ace Power Plant Matara, 51 MW Asia Power Plant and 100 MW Ace Power Plant Embilipitiya for three years. Highlighting that the same has been approved by Cabinet, Dr. Batagoda said the agreement was needed until new power plants which have been planned were commissioned from 2021 onwards. According to him these three IPPs do not fall under the Electricity Act of 2009, which is in force now, as they were already in operation when the legislation was introduced. “The act says that it does not apply to the plants that are in operation at the point and these were all in operation. So the PUCSL cannot say it is against the regulations. Further, they have approved the earlier agreements in which there is a clause to enable extensions,” Dr. Batagoda said. However, the PUCSL has maintained that the power purchases should be done through competitive bidding and found fault with the purchase methodology followed by the CEB which did not call for tenders. This was pointed out at the hearing held last week by the Committee on Public Enterprises (COPE) which summoned both the CEB and PUCSL over power purchases. As there was no tender process, the comparison of costs to determine the cheapest option also becomes difficult, the regulator has stressed. However, the CEB is currently arguing that the PPA with IPPs is cost-effective at a rate of Rs. 20 per unit in comparison to the emergency power purchase prices which range from Rs. 28-31. The CEB currently buys 55 MW of electricity as emergency power. The PUCSL has also raised concerns over the non-commissioning of a Heavy Fuel Oil (HFO) power plant of 100 MW included in the 2015 long-term generation plan. Had it been commissioned, the plant would have become operational in August 2018.